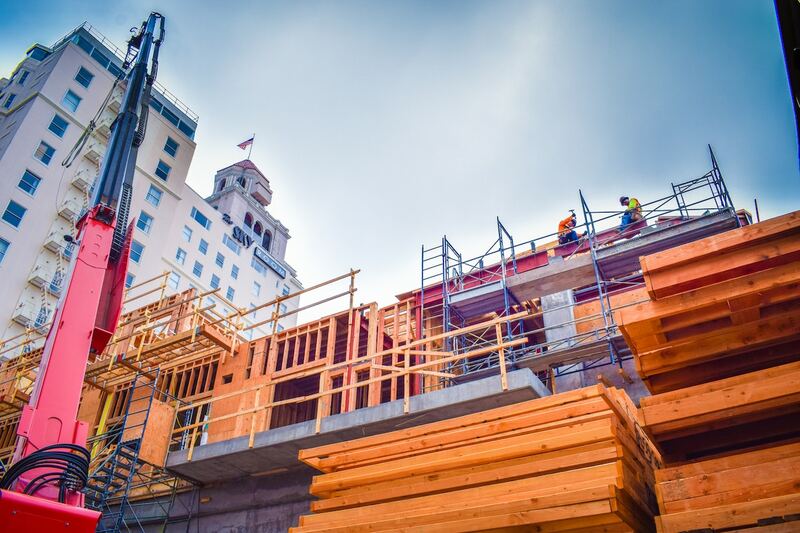 Construction work on a housing development along Seaside Way in Downtown on June 28, 2018. Photo by Brian Addison. The Californian housing crisis has been one of the decade’s most dire issues, prompting skyrocketing living costs that have spurred displacement and homelessness to rare levels—and one of the many ways cities are combating the detrimental effects of the crisis is through inclusionary policies that require developers, on some level, to include affordable units in their developments. The City of Long Beach has been looking into an ordinance for well over a year, with the council instructing city staff to look into an ordinance in May of last year. With tangible options now available, the city is hosting multiple community meetings to “solicit feedback from a wide range of community stakeholders to help evaluate local housing needs and opportunities to effectively implement the policy,” according to Andrew Chang, administrative analyst of Long Beach Development Services. Wednesday, Dec. 5, from 6 to 8 p.m. at Poly High School Cafeteria Dining Room located at 1600 Atlantic Ave.
Saturday, Dec. 8, from 10 a.m. to Noon at the Silverado Park Community Center located at 1545 W. 31st St.
Inclusionary ordinances vary from city to city. For example, Santa Ana’s ordinance requires developers to include a certain percentage of affordable units in every development or, if they do not want to include any affordable units, they must pay into an affordable housing fund; that fund has become robust over the past few years, prompting Santa Ana to create unique affordable housing developments like the conversion of old hotels. These types of variances are an essential reason as to why the City of Long Beach is conducting a study and including the community as these variances will have a major effect on future housing in the city. Judson Brown, the Housing Division Manager of Santa Ana whom we hosted earlier this year for a free panel discussion on affordable housing earlier this year, noted that cities without an ordinance at this point in time are “ten years behind.” And he’s right: Long Beach, with its recent boom in housing development, has lost out on potential new affordable units or tens of millions of dollars that could have been put into an affordable housing fund. At the conclusion of this study, a draft policy will be prepared and presented to the Planning Commission and the Long Beach City Council, in which the anticipated final policy is expected by fall 2019 and adoption by the City Council in late 2019.